God bless this place & the women that work here. I came here 4/12/2019 from Orlando, Florida and I must say, I can’t wait to plan another trip out here just for their food. Amazing food and even better customer service! Mango lemonade?? AMAZING! Please go here! I gave this place 5 stars cause I couldn’t give it 10! Food taste like my mama's cooking. Decor leaves much to be desired.. But the food was awesome and the staff were very friendly! Just passing through as a visitor and was recommended this place - it more than lived up to it's reputation. The chicken was perfectly cooked, and the okra and tomatoes made me a very happy camper. Great portions, great quality. Cant say enough.The best chicken/ soul food I ever had .. I'm a new Yorker and it's really hard to find food like this. And boy do they feed you! Elvie Williams and I absolutely enjoys our lunch. It was the best choice we made for our first visit to Savanna. And Will visit again in the future. Delicious food and always amazing service. The lunch special is such an amazing deal and the portions are generous. We'll be back again and again! The food was great but the atmosphere was weird. I would eat here again but would definitely take it to go. Incense were burning and space heaters everywhere. Great service and the turkey wings are phenomenal. Generous servings, value for food, pick a meat and 3sides. Home cooked. 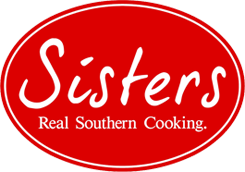 Great place for traditional southern comfort food! Delicious home style southern food. Food was good. I enjoyed the outdoor vibe. The food was definitely tasty and filling. We withheld 2 stars because we ordered banana pudding and got cake instead (taken into account that maybe they were out if bp) this was a grub hub delivery so I suspect the restaurant could not contact us about a change? Moving on, the fried chicken thighs were small but, one was xtra small. The food was good. Real good. Came for the fried chicken didn't disappoint . As a southern boy the chicken reminds me of my moma's. The Oxtails and chicken are awesome. My toddler loved loved loved the mac and cheese and cobbler i ordered this for delivery , i had the baked chicken and mac and cheese , i loved the corn bread it was so moist and sweet mac and cheese was pretty good. Please, if you're visiting Savannah, stop in this place and grab a plate of their delicious food. The place is nothing fancy, but the food makes up for it. The portions are generous and flavorful. They serve the best fried chicken I've ever tasted, seasoned perfectly and very juicy. The customer service was the best!